Documentary films and filmmakers are currently being celebrated in Vancouver at the DOXA Documentary Film Festival (May 2- May 11, 2014). DOXA is presented by The Documentary Media Society, a Vancouver based non-profit, charitable society “devoted to presenting independent and innovative documentaries to Vancouver audiences”. McLaren demonstrating his creative process. Screen still from “Creative Process: Norman McLaren” – NFB, 1990. Canada’s oldest documentary film institution the National Film Board of Canada (NFB) is also celebrating this month. The public film producer and distributor turns 75 this year. Started in 1939, the NFB has in the past 75 years produced over 13,000 productions and has earned 72 Oscar nominations. The NFB has won more than 5,000 awards, including 12 Oscars and 90 Genies. An agency of the Government of Canada the NFB/ONF reports to the Parliament of Canada through the Minister of Canadian Heritage. Representing Canada’s two official languages, the NFB has English language and French language (ONF) production branches. Though the NFB is known for much more than just documentary films, documentaries are truly the backbone of the institution. Commercial Drive , Vancouver. Screen still from the NFB documentary, Soccer, 1974. So, what characterizes a film as a ‘documentary film’? 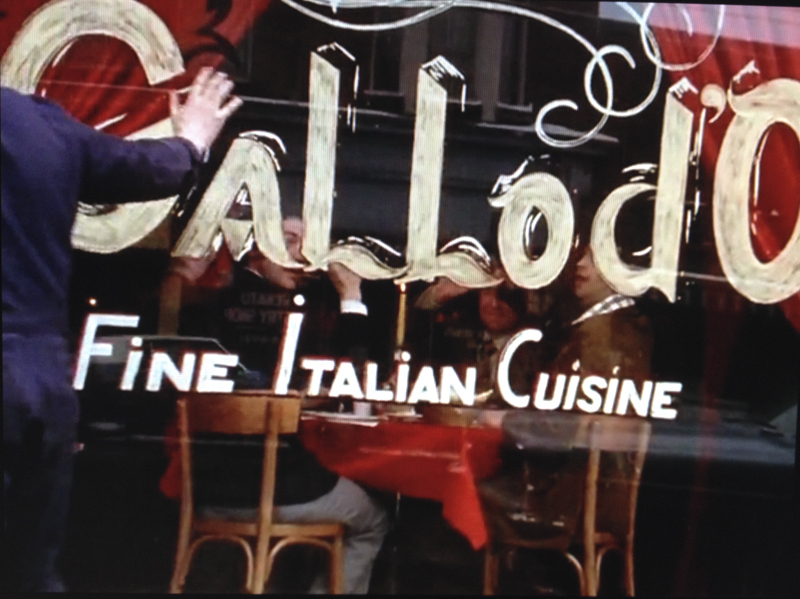 There are three broad classifications of motion pictures: fiction, documentary, and avant-garde. A documentary film, in the simplest terms, is defined as a non-fiction motion picture – a document of facts and reality (real people, places and events). In this sense, we could easily say that documentary films have been made since the beginning of moving images themselves. These films were initially known as “actuality” films. However, this is a very broad definition and it doesn’t speak to the continually evolving and expanding world of documentary filmmaking. 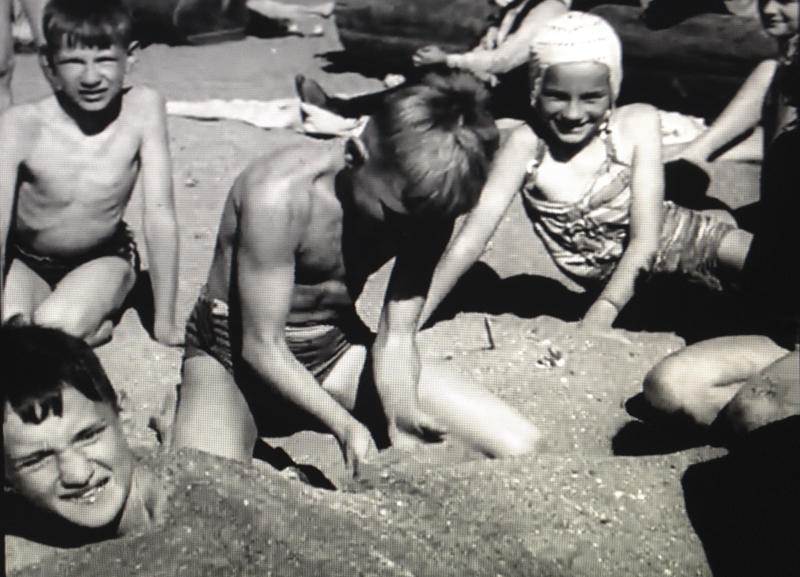 Screen shot of children playing on a beach in Vancouver from “Gateway to Asia”, NFB, 1945. A film that examines the birth of the NFB and documentary filmmaking in Canada had its world premiere this weekend at DOXA. Shameless Propaganda (Robert Lower, 2013) is the story of the establishment of the National Film Board of Canada under the direction of its first Commissioner, John Grierson. The NFB was founded in part to create propaganda in support of Canada’s involvement in the Second World War, Shameless Propaganda highlights this period (1939-1945) using archival footage. Appointed by Prime Minister William Lyon Mackenzie King the National Film Board’s first commissioner was documentary pioneer John Grierson. Under his leadership, the NFB documented the Canadian experience in the Second World War both at home and abroad. As the driving force of the NFB, Grierson was “charged with interpreting Canada to Canadians”. Though he appreciated the art of technical filmmaking, Grierson wasn’t interested in film as art per se. He was captivated with the social effect of film – the social impact it had on a people. This was his vision for the NFB. 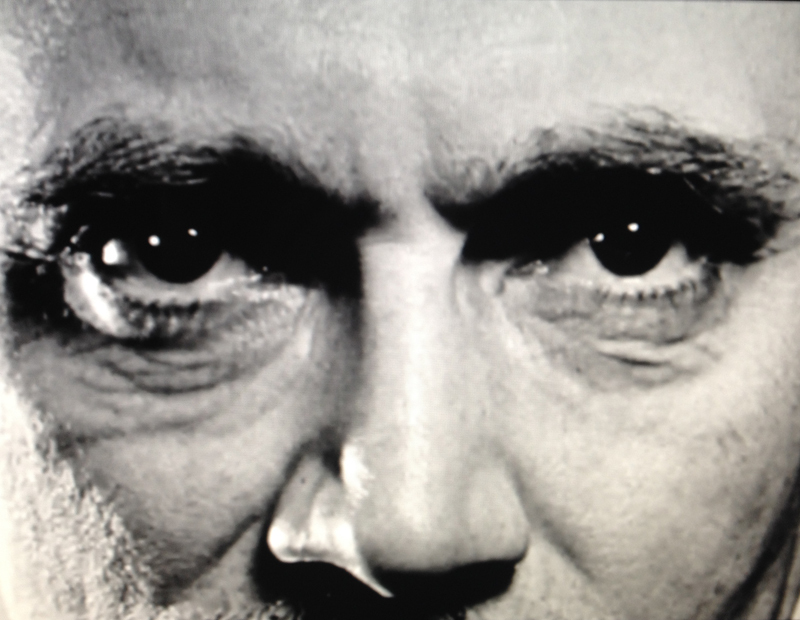 Screen still of John Grierson’s infamous penetrating gaze from the NFB film Grierson, 1973. When Scotsman John Grierson was starting out as a young filmmaker in England in the 1920s there was no name for the type of film he wanted to make, so he invented one – he called it the documentary film. Though he didn’t ‘invent’ the documentary film genre, he certainly developed and advanced it. Grierson was acutely aware of the cinema’s unexplored possibilities. He wanted to document and to “bring alive with penetrating vividness” the daily lives of ordinary working men and women and the new world that was growing up around them. He initially worked in the film unit for the Empire Marketing Board (EMB), a governmental agency which had been established to promote British world trade and British unity throughout the empire. Cominco Smelter in Trail, BC. 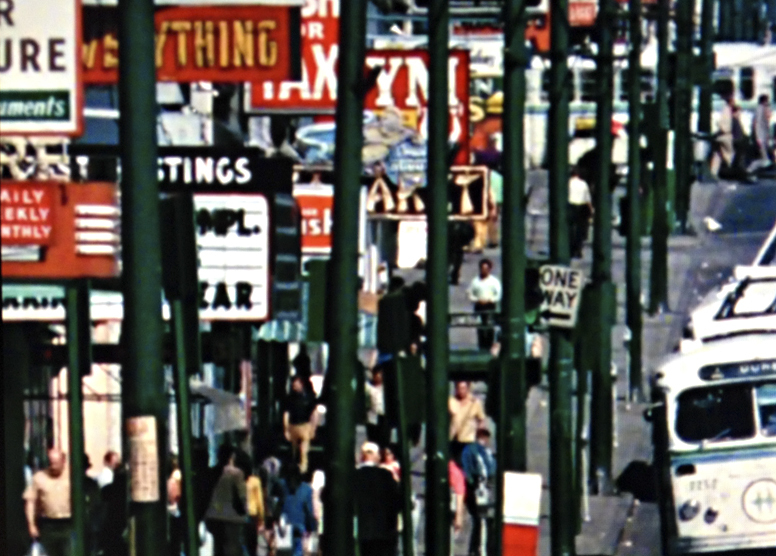 Still screen from Where You Goin’ Company Town? – NFB, 1975. Eventually Grierson stopped directing documentary films himself and instead focused his energies on building the new Documentary Film Movement. He wanted to create a film unit that would create films under his guidance, making the documentary style films he wanted to make. During this period Grierson also developed the idea of having film screenings not only in traditional theatres but in schools, train stations and other public buildings – he brought the films to the people where they were (he eventually brought this system to Canada with the NFB). His documentary film production and distribution processes were refined during the 1930s while he worked for the EMB, General Post Office (GPO) and private sector industry. Starting May 2, the NFB site will feature content celebrating its 75 years – including the NFB Moment of the Week, a special birthday programming initiative. Every week, the NFB will “post a different iconic NFB film with some info about why it’s a must-watch for all Canadians”. More details about this initiative and other birthday activities coming up can be found on the NFB blog. The NFB is also asking Canadians to tell them about their favorite NFB moments via social media. Using the hashtag #NFB75 Canadians can participate and celebrate the NFB’s 75th birthday via Twitter, Facebook and Instagram. In collaboration with Canada Post, the NFB has selected stills from five of its film favourites – Flamenco at 5:15 (1983), The Railrodder (1965), Mon oncle Antoine (1971), Log Driver’s Waltz (1979) and Neighbours (1952) – to appear on a series of limited-edition NFB 75th birthday postage stamps . And to prove that the NFB is changing with the times, artist Stan Douglas in collaboration with the NFB’s Digital Studio have created an interactive app called Circa 1948. It is an immersive art app, reconstructed from historical records, set in post was Vancouver. Circa 1948 is a free app optimized for iPad and iPhone, and you can download it from iTunes here. Fun Fact: The National Film Board of Canada was the inspiration for the name of the Scottish electronic music duo the Boards of Canada. An example of their work can be found here – http://www.youtube.com/watch?v=zVWcptE6UAI . 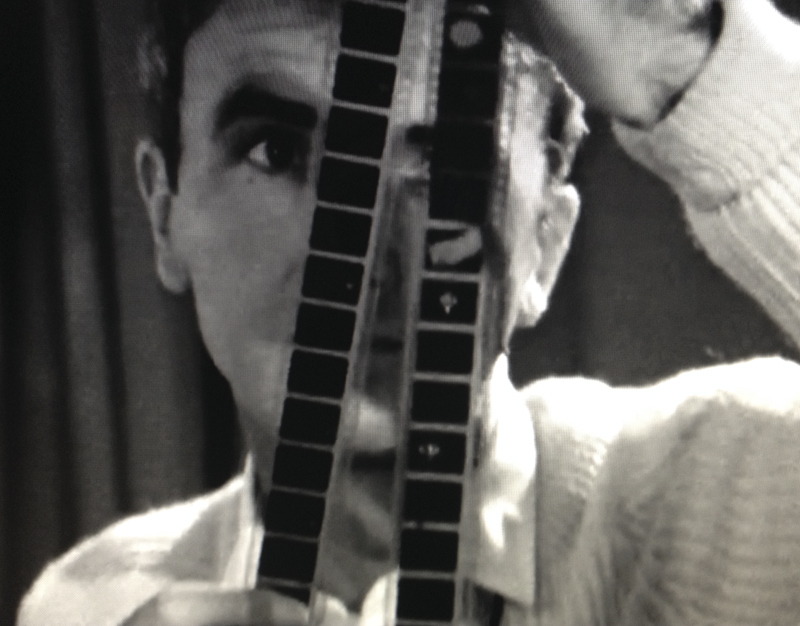 Creative Process: Norman McLaren (https://www.nfb.ca/film/creative_process_norman_mclaren) – Donald McWilliams, 1990, 116 min 32 s – This feature length documentary is a journey into Norman McLaren’s process of artistic creation. A cinematic genius who made films without cameras and music without instruments, McLaren produced 60 films in a stunning range of styles and techniques, collecting over 200 international awards and world recognition. Drawing on McLaren’s private film vaults, a gold mine of experimental footage and uncompleted films, this film explores McLaren’s methods, including his celebrated “pixillation” technique. Screen still from Creative Process: Norman McLaren – NFB, 1990. 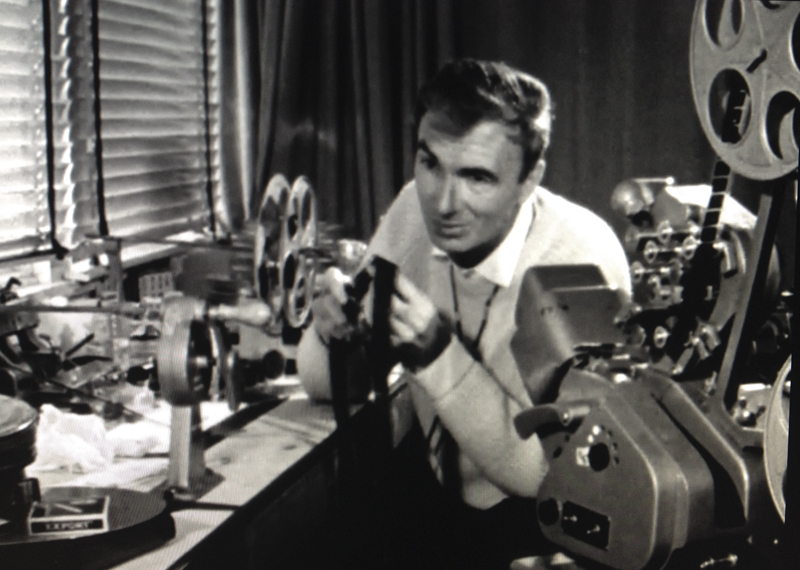 Neighbours – (https://www.nfb.ca/film/neighbours_voisins) – Norman McLaren, 1952, 8 min 6 s – In this Oscar®-winning short film, Norman McLaren employs the principles normally used to put drawings or puppets into motion to animate live actors. The story is a parable about two people who come to blows over the possession of a flower. Keep Your Mouth Shut (https://www.nfb.ca/film/keep_your_mouth_shut) – Norman McLaren, 1944, 2 min 20 s – This animated short from Norman McLaren features a human skull cautioning Canadians to “keep their mouths shut” in an effort to end gossiping during World War II. 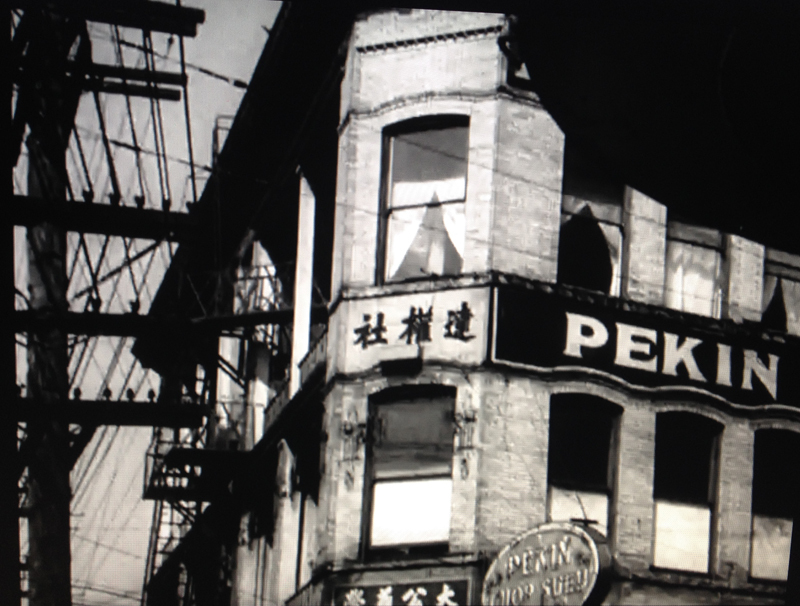 Gateway to Asia (https://www.nfb.ca/film/gateway_to_asia) – Tom Daly, 1945, 10 min 5 s – This short film highlights the province of British Columbia and its position after World War II. Located on the Pacific Coast, it is the gateway for those traveling to Asia and Russia and a vital link between the rest of Canada and its neighbours in the Far East. The film looks at British Columbia’s population, natural resources and industries along with some of its social issues. [Lorne Greene narrates this war-time propaganda film]. Chinatown in Vancouver. Screen still from Gateway To Asia, NFB, 1945. 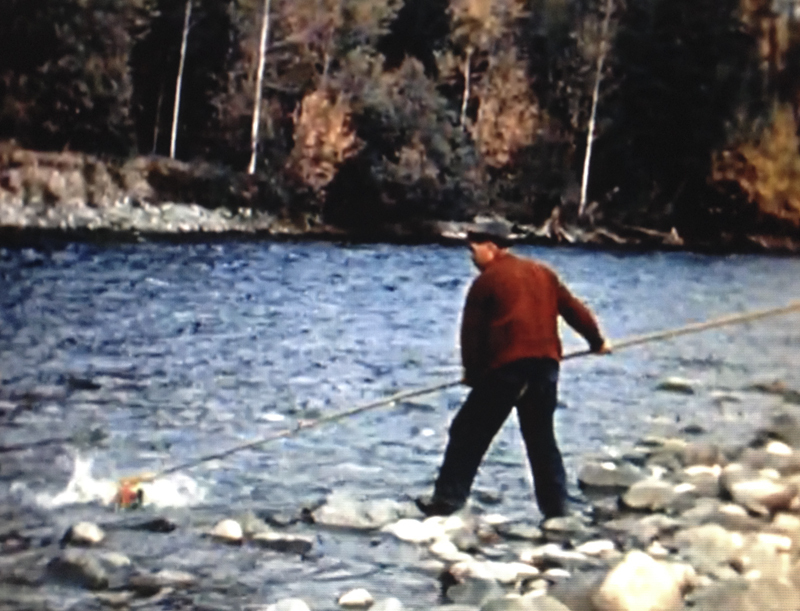 Red Runs the Fraser (https://www.nfb.ca/film/red_runs_the_fraser) – E. Taylor, 1949, 11 min – This short documentary looks at the deep gorge of the Fraser River, shadowed by the mountain ranges of British Columbia. It is a highway for the mysterious migration of the Pacific salmon. The river shallows appear red with the flailing fish as they push up-river to spawn and die. A natural wonder puzzling to the scientist, the fish migration of spring and summer provides renewed activity for fishermen and cannery workers. Traditional salmon fishing on the Fraser River. Screen still from Red Runs the Fraser – NFB, 1949. The Zoo in Stanley Park (https://www.nfb.ca/film/zoo_stanley_park) – Bernard Devlin, 1953, 14 min, 47 s – In this documentary short, a superintendent at Vancouver’s Stanley Park Zoo discusses issues related to feeding and acclimatization of birds and animals from other zones. Whistling Smith (https://www.nfb.ca/film/whistling_smith) – Marrin Canell & Michael Scott, 1975, 27 min 20 s – This film is a revealing portrait of a tough cop with a big heart. Sergeant Bernie “Whistling” Smith walks the beat on Vancouver’s Eastside, the hangout of petty criminals, down-and-outs and a variety of characters. His policing is unorthodox. To many drug users, petty thieves and prostitutes in this economically depressed area he is more than the iron hand of the law, he is also a counsellor and a friend. The streets of Vancouver. Screen still from Whistling Smith – NFB, 1975. British Empire and Commonwealth Games (https://www.nfb.ca/film/british_empire_commonwealth_games) – Jack Olsen, 1954, 11 min – This short documentary presents highlights of the 1954 British Empire and Commonwealth Games. In Vancouver, top-ranking athletes from the far corners of the British Commonwealth competed for new records. The film records outstanding feats in racing, jumping, pole-vaulting, swimming as well as the “miracle mile” duel between John Landy and Roger Bannister. The Big Swim (https://www.nfb.ca/film/big_swim) – Gilles Carle, 1964, 9 min 24 s – This short documentary shows Canada’s top swimmers in training for the 1964 Olympic Games. Under the critical eye of coach Ed Healy, they practice long hours in the gym and in the pool to build strength and stamina. Filmed entirely at Empire Pool at The University of British Columbia in Vancouver. Soccer (https://www.nfb.ca/film/soccer) – Shelah Reljic, 1974, 27 min 20 s – This documentary short shines a light on British Columbia’s soccer culture. With a special focus on the successful Vancouver Italia team, the film celebrates the province’s most popular sport. Screen still from Soccer – NFB, 1974. Italian Restaurant on Commercial Drive. 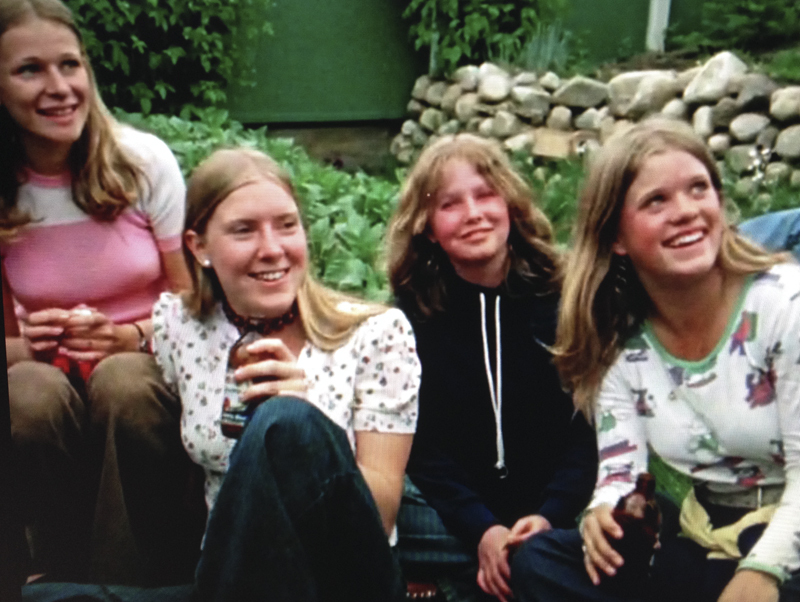 Pen-Hi Grad (https://www.nfb.ca/film/pen_hi_grad) – Sandra Wilson, 1975, 27 min 14 s – This documentary short is about Penticton, BC, and what happens when students from the only high school in town graduate. Most know that job opportunities and higher education lie elsewhere, most likely in Vancouver. So, for one memorable week, they go through a whirlwind of formal ceremonies, wild celebrations, hi-jinks and farewells that involve the whole population of this Okanagan Valley community. [ A BC version of Dazed & Confused]. Screen still from Sandra Wilson’s Pen-Hi Grad, NFB, 1975. Bella Bella (https://www.nfb.ca/film/bella_bella) – Barbara Greene, 1975, 27 min 20 s – This documentary short is an introduction to the Bella Bella Indians of Campbell Island, 500 km North of Vancouver on the Pacific Coast. Since the coming of settlers, these fishing people have watched their ancient Heiltsuk culture and their independence all but disappear. Today, in an energetic attempt to become self-sufficient, they are regaining both – successfully combining economic development with cultural revival. Bill Reid (https://www.nfb.ca/film/bill_reid) – Jack Long, 1979, 27 min 54 s – This documentary follows Haida artist Bill Reid, from British Columbia. A jeweller and wood carver, he works on a traditional Haida totem pole. We watch the gradual transformation of a bare cedar trunk into a richly carved pole to stand on the shores of the town of Skidegate, in the Queen Charlotte Islands of B.C. Where You Goin’ Company Town? (https://www.nfb.ca/film/where_you_goin_company_town) – Stephen W. Dewar, 1975, 27 min 32 s – This short documentary examines the changing relations between labour and management in the long-established company town of Trail, BC, in which 90% of the workforce is employed by Cominco, the world’s largest lead-zinc smelter. The metal workers in the town are outspoken about the health risks associated with their line of work, and a debate about unionization ensues. The days of paternalistic management are gone, and the emphasis is now on participation and involvement. An eventual strike over dissatisfaction with labour relations turns violent when management, union executives, and workers clash over competing interests. 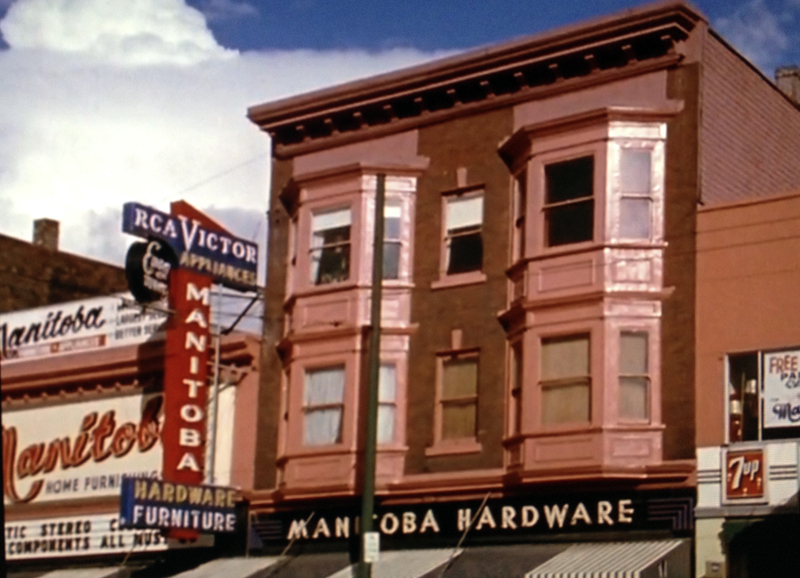 That’s The Price (https://www.nfb.ca/film/thats_the_price) – Michael Scott, 1970,40 min 45 s – What happens to two dying coal towns in British Columbia when an American corporation provides a contract for millions of tons of coking coal? 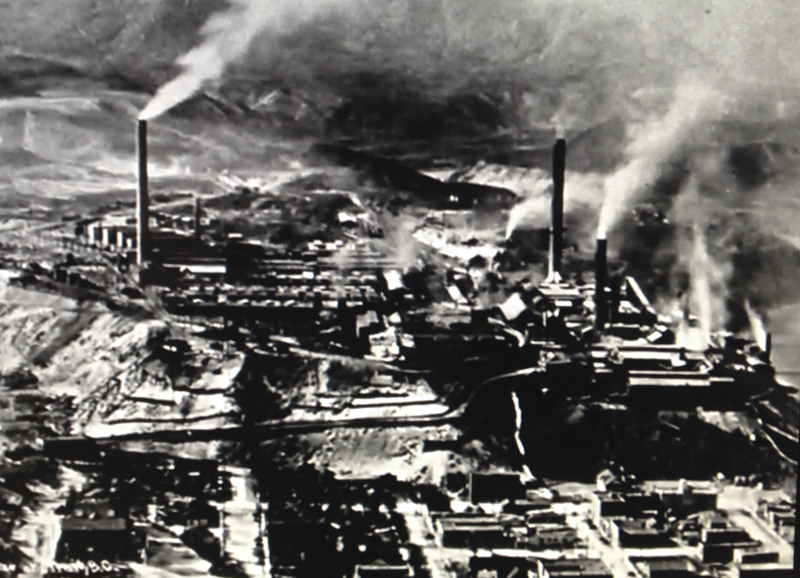 The film follows the consequences for the towns of Natal and Michel, suggesting that industrial growth has its price, especially with regard to the environment. Canada Vignettes: Logger – (https://www.nfb.ca/film/canada_vignettes_logger) – Al Sens, 1978, 1 min – This very short film from the Canada Vignettes series offers an animated history of logging on the British Columbia coast. 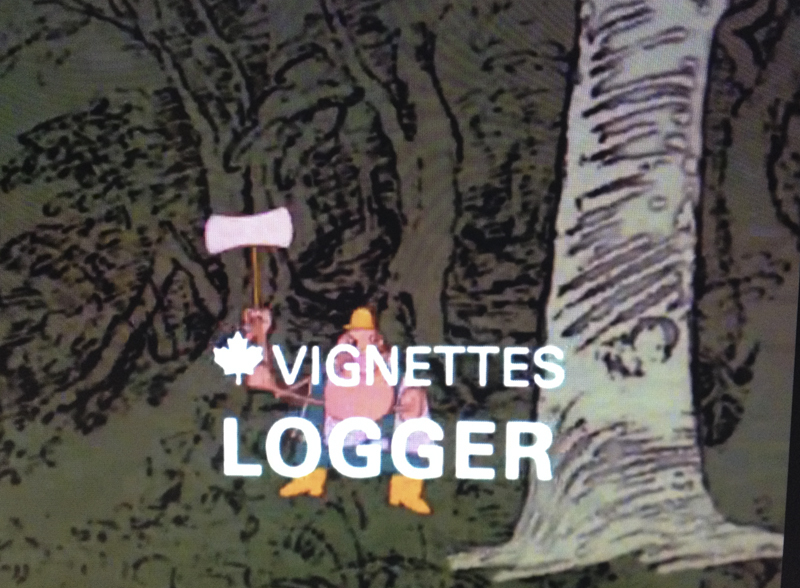 Screen still from Canada Vignettes: Logger, NFB, 1978. An Al Sens animated short. This is not a comprehensive list, by any means, of my favorite NFB films. Just a few old favorites and some I recently discovered that I thought may be of interest to my readers. What is your favourite NFB/ONF film? Fantastic article on a fantastic institution – our very own NFB. Thanks so much for this. Thanks Curtis, I’m glad you enjoyed it.